Ken Thomas is Head of the School of Engineering at Waterford Institute of Technology (WIT), and Co-founder and Director of the Construction IT Alliance (CitA). 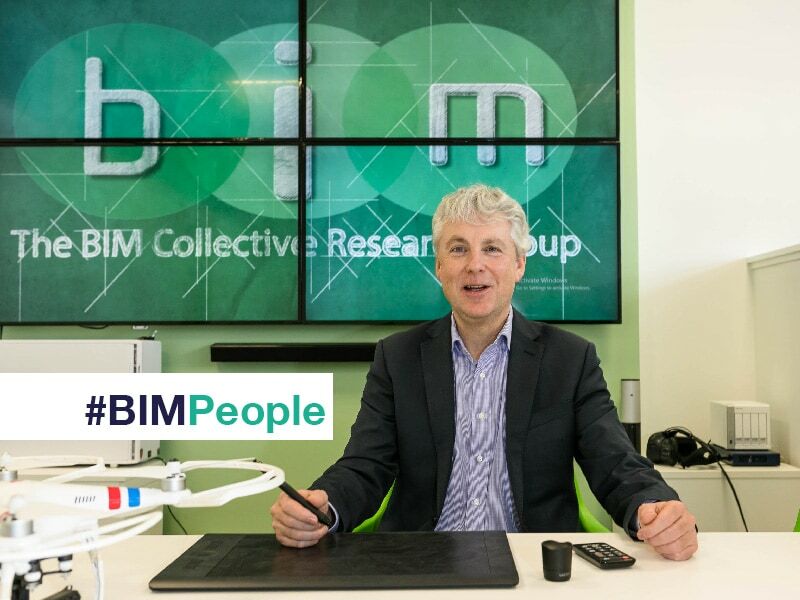 BIMIreland.ie spoke to Ken about his role with CitA, Building Information Modelling at WIT, and his views on BIM research and education. 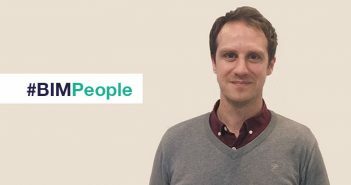 Ken has a BEng in Civil Engineering from the National University of Ireland Galway and an MA in Management from the University of Kent. He completed his PhD from University College Cork in 2002 and is a Chartered Engineer. Ken’s research interests include the current and future use of ICT in Construction, Knowledge Management and the Global Accreditation of Engineering Education. Ken, what started your interest in BIM and Construction IT? I worked in the UK between 1986 and 1993, mainly in London and the South-East of England. I did an MA in Management at the University of Kent part-time in that period while IT was becoming a bigger feature in industry. PCs were becoming the norm in design and construction offices and that brought a myriad of opportunities and challenges. I used this topic in my MA thesis. When I returned to Ireland I completed my PhD part-time on the use of ICT in the Irish Architecture-Engineering-Construction (AEC) Sector. Can you tell us about your role in starting CitA? I had conversations with Alan Hore of Dublin Institute of Technology and others interested in the topic during my PhD. After moving to Waterford from the UK I wanted to see how I could help the Irish industry move forward and adopt new technologies. There was a Construction IT conference in Dublin in 1999 after which we formed the Construction IT Alliance, a true Industry-Academia Alliance. Can you please tell us about your work on the CitA board? I have been on the board since 2001 when CitA was founded. The Directors act in a voluntary capacity and generally meet every second month. Over the years CitA’s activities have increased significantly including training, meetings and conferences. The fact that we have a great Administration team led by Suzanne Purcell and now have an active regional structure has supported the successful development of CitA. The CitA Membership includes the full breadth of stakeholders in the Irish construction sector. The board provides the governance and strategic overview for CitA’s activities. What are the BIM programmes and modules available at WIT? In 2009 we made the decision to move from 2D CAD to BIM. Since then on all our programmes we have included BIM technologies and thinking from first year upwards. We are in the great position of having the full suite of AEC programmes here in WIT including: Architecture, Architectural Technology, Construction Management, Civil Engineering, Building Services Engineering, Sustainable Energy Engineering and Quantity Surveying. In 2013 WIT also established the BIM Collective (BIMC) Group. This Group led by Gordon Chisholm, Brian Dempsey and Robin Stubbs have developed a Higher Diploma in BIM and also established an Autodesk Authorised Training Centre (ATC) for industry. What are your predictions for the future of BIM education and research? I think BIM will become the norm in the short-medium term. BIM is a useful label to drive the necessary innovation in our industry. The future will involve the parallel development of increasingly intelligent virtual models with the ‘real’ physical buildings and infrastructure facilities. The linking of the physical to the virtual via sensors and the whole Internet of Things (IoT) movement is very exciting and offers huge advantages. What advice would you give SMEs thinking of training their staff members in BIM and construction IT? It is always difficult to find time and money for training. However, the better and more ambitious companies know they have to up-skill their staff on BIM software as well as the general BIM philosophy of moving into a non-silo world of collaborative working. I think there will be more interest as the economy improves and the competitive advantages of BIM become more apparent. Have you got advice for young professionals thinking of doing a BIM course? I would say that the gaining of BIM knowledge and skills is vital to any young professional in the early part of their careers. Hopefully, BIM is a feature on every relevant undergraduate programme in Institutes of Technology and Universities at this stage. However there are relatively recent graduates, and indeed others not so recent, who will have to engage in BIM training. If people are still wondering where to start, I would advise them to go to CitA events either in Dublin or around the country in the regional centres. These events are a relatively easy and quick method for individuals and their employer’s to increase their understanding of BIM. In your opinion, has BIM adoption been a success in Ireland? BIM adoption in Ireland has been variable, but we are on the right path. We have some great BIM leaders and champions who are striding forwards, we just need others to step up. The recently established National BIM Council Is important as there is a fundamental need for national cohesiveness to the adoption of BIM. We need a range of ‘carrots and sticks’ to increase adoption, including changes to public procurement. However, I would be optimistic that Ireland can get it right and become one of the global leaders in BIM and digital AEC-FM. What are the key challenges witnessed to the adoption of BIM? People and systems are slow to change without a significant stimulus. The Irish industry is in many ways still recovering from the brutal recession and this had a huge effect on all stakeholders. The challenges in terms of finance, people, processes and technologies are not insignificant. The good news is that there is great help out there via Enterprise Ireland, CitA, Institutes of Technology, Universities and other organisations. We in WIT and in particular the BIM Collective are currently working with many of the companies and would be happy to help many more. Who has impressed you with their BIM adoption and project work? Thankfully there are an increasing number of Irish companies, large and SMEs, who would come under this category. In my experience, it takes enlightened leadership and support from the top to drive the adoption. Clancy is one such firm where their Directors identified the potential of BIM a few years ago and they are now gaining some significant benefits. Another is BAM Ireland who has clearly made great strides in respect of BIM, particularly aligned with their PPP projects and their International links. Back in 2009-10 we in WIT ran a bespoke MSc in Construction Project Management programme with 20 of their middle-managers. We included BIM implementation on that programme and also visited BAM in the Netherlands to hear about the importance of BIM to the wider group. Here in Waterford C.J. Falconer & Associates is another example of an SME that has come through the recession strongly and is impressing clients with their advanced use of BIM technologies. Will BIM cross borders in terms of standardising the design/construction process? For the past few years, we have been looking to the UK for guidance in respect of standards, particularly PAS 1192. The current moves to adopting a broader EU approach and the role of the National Standards Authority of Ireland (NSAI) in that respect is a welcome development. While standards can be regarded as ‘boring’, they are very important and a necessary keystone to successful BIM. Their adoption in Ireland will be good for our companies and will facilitate more business opportunities overseas. 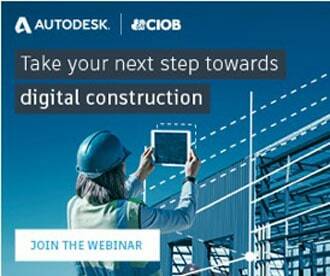 Can you tell us about the interest in Lean Construction at WIT and its combination with BIM? At WIT, we align BIM with Lean and Green. Those three connected topics are very important and the individual philosophies aid each other. BIM will obviously help the Lean objectives of reducing waste and avoiding costly mistakes. However, BIM should also lead to a better shared understanding of what we want to do, how we’re going to do it and a more enjoyable industry for all. The broad Green agenda and achieving the associated specific legislative requirements also require BIM. Apart from BIM what other technologies should contractors and consultants be looking at? 3D printing, robotics and sensors – these are live issues in global manufacturing that the Irish construction sector should be looking at in more detail. For the past 30 years, many of the larger companies in Japan and around the world have had in-house R&D groups. While the nature and scale of our Industry is different, there is a great opportunity for Industry and Academia in Ireland to work closer together with the help of the state agencies.